Hello, dear Little Big readers. Last time I shared with you my experiences with food while growing up in Mexico–and the connections to eating well in my life now. Part of the challenge goes beyond food and into thinking about what is good for us, specifically thinking about family and the home. With that comes the idea of “living green” as a way to live well while being responsible for our impact on the planet and the environment. Simply put, taking care of ourselves and where we live in the broadest sense. We live in a time when “green” has become a commonplace term in the foods and products we bring into our homes with the intent of being ecologically responsible and healthy. But at the same time, it is notable that for many companies it has become an important opportunity to profit off our good intentions as consumers. 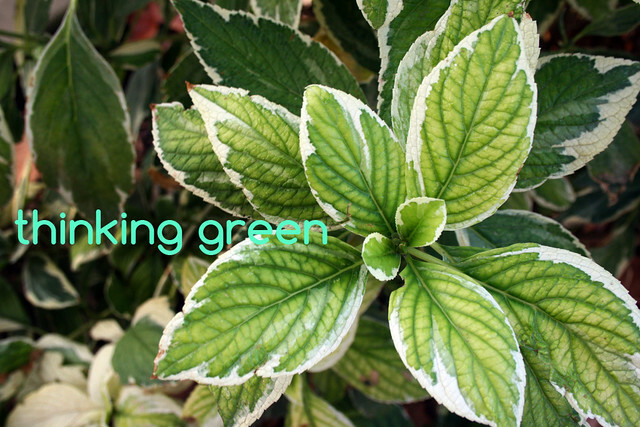 This leads us to greenwashing; what can we do to be aware of it, why it matters, and what we can do to ensure that our choice to be green really is effective. 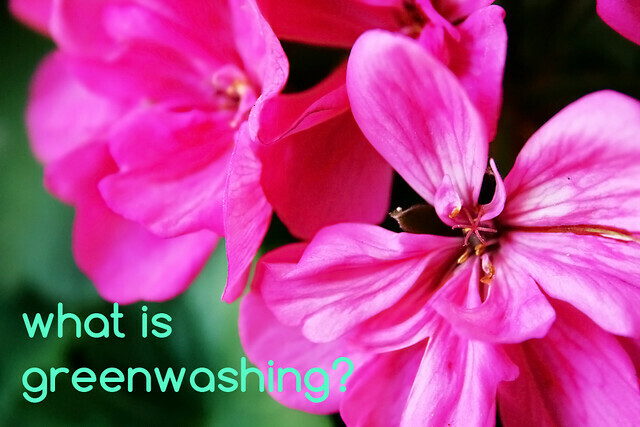 By its simplest definition, greenwashing is the act of misleading consumers regarding the environmental practices of a company or the environmental benefits of a product or service. A key point is to learn to ask critical questions or you might be buying products with creative marketing rather than products with legitimate environmental and health benefits. 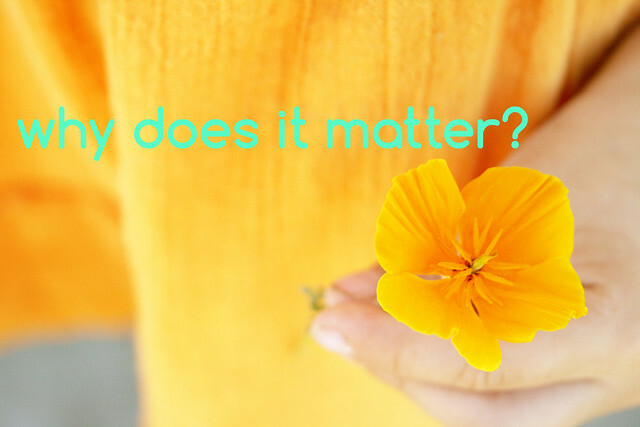 It is important to stress this point because much of the time there may not be a definitive answer to this question, but thinking and asking questions can lead to a better decision. It is also important to note that we are all busy and we may not devote the time to do research or be inclined to be really deliberate as we are rushing through the grocery store aisles. But with some concerted effort, you can make wise decisions without having to worry and stress about having the right answer all the time. This matters because I, you, all of us, have incredible power with our purchasing choices. Companies want to make money, you would prefer to live well, and we all have a healthy planet and a future to consider. We can try to be cost-effective with our cheap products, but we still end up paying for it in some way–usually with our health or that of our ecosystem. Whether we know it or not, we all lose that way. Many people avoid buying green for a host of reasons. They may view it through a political lens. They may think it’s too expensive. It may seem like a lot of work to sort it all out, or they feel it is just gimmicky. But despite all that, there are some approaches you can take and think about where it may matter most to think and buy green. Thus, here are some ideas, thoughts, and tips to consider. 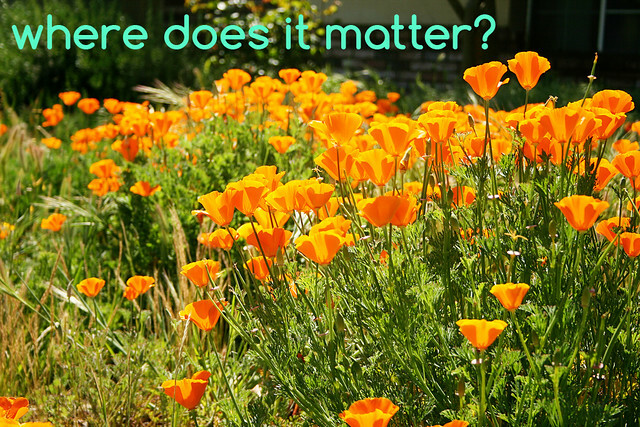 First, the place where it makes more sense to think about something being green is the home and family. This means food, cleaning products, the things you give your children, and other consumer products that use renewable and non-renewable resources as well as have pollution effects on the ecosystem. Second, some good things to look for can be guided by the 7 Sins of Greenwashing, via the TerraChoice and Underwriter Laboratories. Sin of Fibbing – Misleading the consumer about the actual environmental performance of the product. Sin of No Proof – Also known as the sin of “just trust us”–unable to provide proof of the environmental claims. Sin of the Hidden Trade-Off – Focusing on one or two environmental facts but ignoring other significantly more important environmental concerns. Sin of Worshiping False Labels – A product that through words or images gives the impression of third-party endorsement where no such endorsement actually exists. These sins can help you think about questions to ask when you are looking at a product to bring into your home. Do not worry about making the right choice every time. What matters is that you are putting effort into letting companies know your values as a decision-maker to make better choices for your home and family. As far as eating green, if you generally buy fresh food you are already a step ahead. Many processed products use labeling and marketing with perfect examples of the above-mentioned sins. Terms like “all-natural” are a greenwashing giveaway, especially if the product they are labeling has nothing to do with meat and eggs. “Organic” really only counts it is has a USDA label as that is the only label regulated by the government. If not, there is a very good chance it is self-regulated or fabricated by the company. Starting with the USDA label can help. See what qualifies for this regulation, especially with claims such as “cage-free” or “free range.” Even when something is labeled organic it may be less relevant. Things you can peel, such as a banana, are less affected by pesticides than fresh greens which gather much more exposure to chemicals. Up to this year, organic pears and apples were raised with antibiotics. So when in doubt, eat fresh, prepare and cook your own food as much as possible, and go with organic when it makes sense to you in terms of pesticide exposure. You can also look to guides such as Michael Pollan’s Food Rules. With cleaning products it is a similar story. If you use home remedies or basic ingredients like vinegar and baking soda you are off to a great start. But if you are buying something off the shelf, check to see what ingredients the label discloses and what you spot as hazardous. By law the manufacturer does not have to disclose ingredients, but it does have to list those chemicals which are hazardous, so keep an eye out for those. When you have time you can look up your cleaning products at the US Department of Health and Human Services. Places like the Environmental Working Group are also a good place to start if you go with a brand name product. When I doubt, I try vinegar and baking soda. Only buy a brand name when you feel you need it. When it comes to other products, ask yourself if you really need it. If it is a toy, does it need to be new? Will it last? Is it recyclable? If you are buying paper plates and towels, do they come from post-consumer recycled waste? 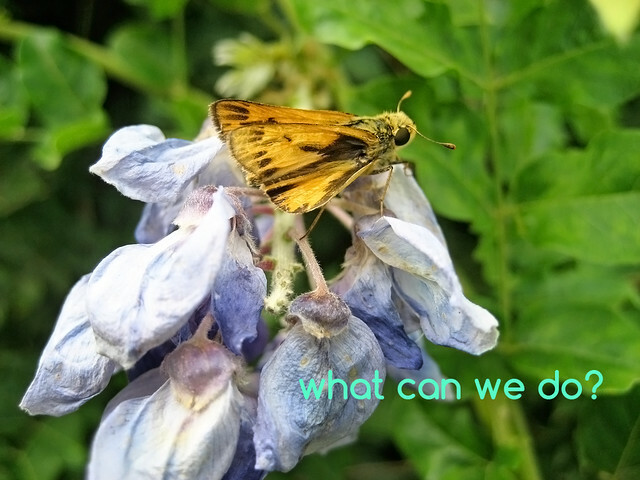 What do you need them for, and how will you dispose of them? In some cases we purchase recycled or biodegradable items only to toss them into the trash that leads to a landfill where they may not breakdown if it is an aerobic environment. You can process a lot of these decisions by asking yourself how you will use them: is it a one-time use? is there an alternative you can use? In some cases you are better off reusing as much as you can, reducing the amount of what you need, and only recycling if you have a system in place by checking what is recyclable in your city. For example, it is because of these steps that we use a collection of plastic forks in our home that are used until they break down and then are thrown into the recycling bin. I am also still using some plastic containers for lunch that I once picked up as a Costco salad. There are a lot more areas of consumer life that we can delve into, and a lot more examples to provide, but overall what are we to do? Well, look at the sins and see what makes sense. Is there a label? What does it say? Does the label really address your criteria? Who is doing the labeling? Look for labels like those from EcoLogo, Green Seal, NRDC, FSC, MSC, Water Sense and Energy Star. You can also get an app for that! To give an example, I saw a bottle of dishwasher liquid labeled “eco.” The basis for this label was that it was phosphate free. Sounds great, but what about those other ingredients? Also, phosphate is already banned in dishwasher liquid in several states, so there was some sin of irrelevance. In cases like that I would rather focus on purchasing a product from a company that has a broader policy of sustainability, such as Seventh Generation. I would like to stress one last point: you do not need the latest and greatest product when it comes to being green. You also don’t need to break your budget. Often by simply taking the time to ask yourself the questions of what you need and why, while taking a look at those sins, you can have a greater environmental benefit–and a healthier home and family. 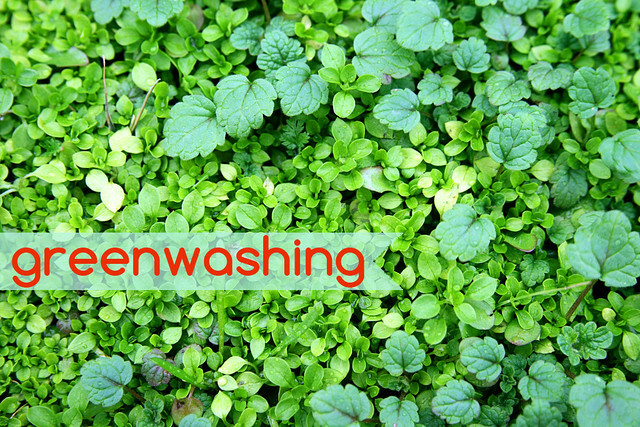 This post is meant to provide a broad overview on greenwashing. As I noted, we can always delve further into such a complex topic. Do you have questions, ideas, or comments? Post them below for discussion! Jose Gonzalez holds an M.S. from the University of Michigan School of Natural Resources and Environment. 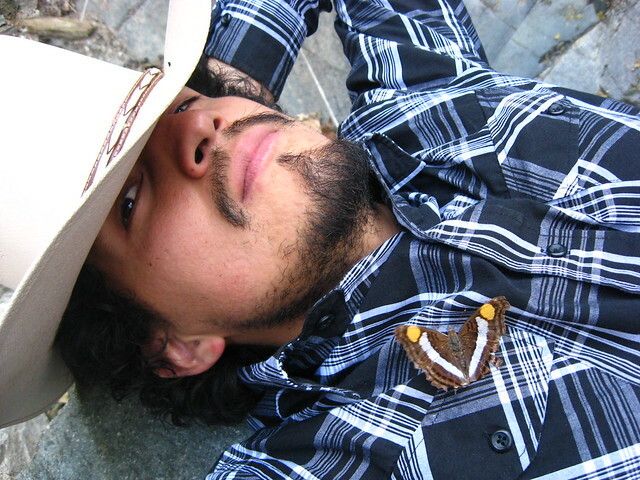 He is an adjunct at the National Hispanic University and has experience presenting on environmental and conservation issues. You can reach him at greenchicano.com. Excellent post! I really appreciate bringing the issue of greenwashing to readers’ attention. One particular product I take issue with are those hybrid cloth/paper diapers. 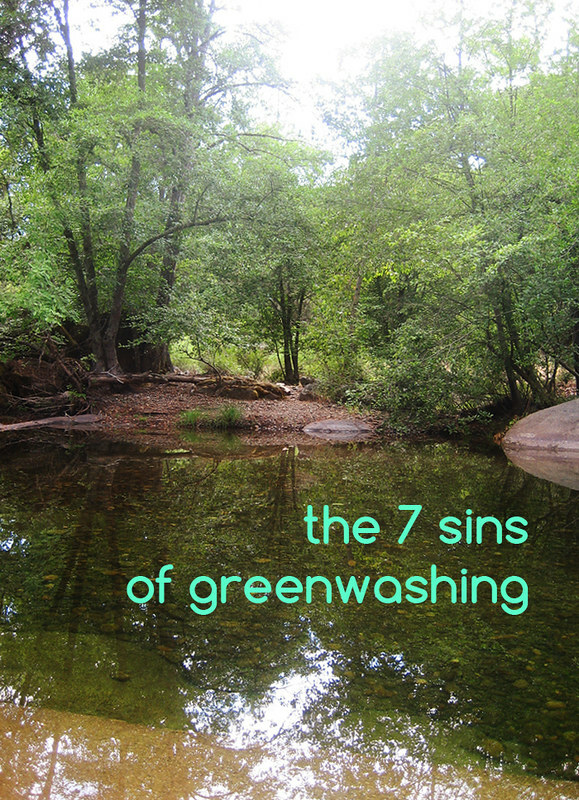 The list of Sins of Greenwashing is really helpful, too. I feel like I’m being duped a lot by marketing and product images, too. I have a dishwasher detergent I bought recently, in a pinch, when I was out of my usual. I realized last night it’s got a really idyllic green grass image all over it, but there’s nothing eco-friendly about it. I haven’t even heard of the hybrid cloth-paper diapers! What are they? Thanks Jose! Sometimes it can feel really overwhelming to be alert to these things all of the time, but you’ve given me renewed energy to do it! Sometimes we all need that extra push. Love this post! It’s so unfortunate that a positive trend towards greener products has companies using misleading labels and claims. It’s also important to realize greenwashing in other realms such as when corporations claim to be green (not necessarily relating to household/food products) and my favorite, within the tourist industry. Ecotourism is on the rise and so many hotels/tourist companies/organizations both locally and internationally mislead consumers with keywords, just like labels on food. The most common is the ‘hang your bath towels if you don’t want them to be washed so you’ll save water and help the environment’ that so many hotels use. Yes, it saves water, but many hotel chains could do a numerous amount of things to become greener. Right now I’m trying to eat healthier/live healthier not through buying greener products necessarily, but trying to step away as much as I can from large companies and doing things myself. A lot of people think its really difficult to grow some of your own food or make your own laundry detergent, but in the long run you end up saving a lot of money without much time wasted AND you get to be green. Thanks for the great post! I love learning about all the various ways we can be self-reliant. Not every idea will work for me, but I love to adapt the ones I can and know that others are making them work, too. As you’ve mentioned, so many times you can be “green” by not having the “stuff labeled green”–and buying as local as possible, within sense. LOVE this. The Sin of No Proof and Just Trust Us seem to go hand in hand a lot and it also seems to really work. It bothers me so much when I see people blatantly ignoring actual facts and evidence contrary to what these Just Trust Us stories spin simply because they like the way something sounds. I’m all about living greener, but in a way that is actually greener and on a way that is actually beneficial. Thanks for the post. ????,??? ?????????? ??????? ???? ??????/????? 9? ??2? ?? ?170?? SOUJU ?? ????,?? ?